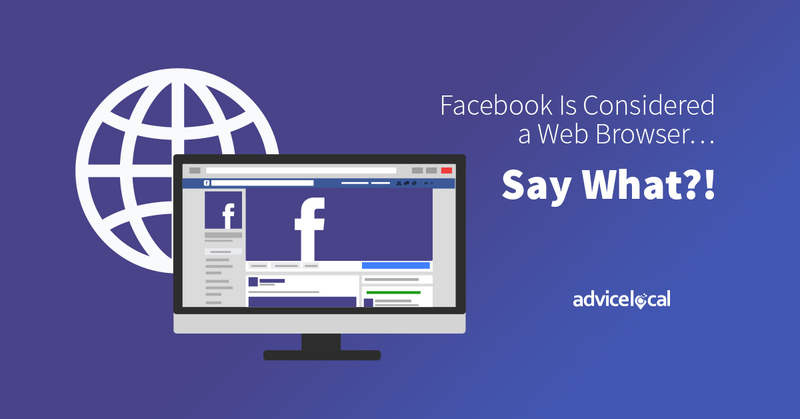 Home » Blog » Facebook Is Considered a Web Browser… Say What?! Facebook Is Considered a Web Browser… Say What?! Google Vs. Facebook… the Web Browser Edition?! Last week, I asked you the question “Is Google Replacing the Website?” Will I soon be asking the same question about Facebook? Do these two behemoths have a bullseye on one another? I know I have talked about these giants taking over the web before, but it’s hard to get past the speed at which they are doing it. Facebook is Considered a Web Browser?! Did you know that Facebook is considered a major mobile browser in the United States? In some states, they have more than 10 percent of the market share. Don’t worry – Safari and Chrome aren’t going away (at least not anytime soon)! Just this week, Facebook has made some additional major shifts to help local businesses get more exposure on their platform. 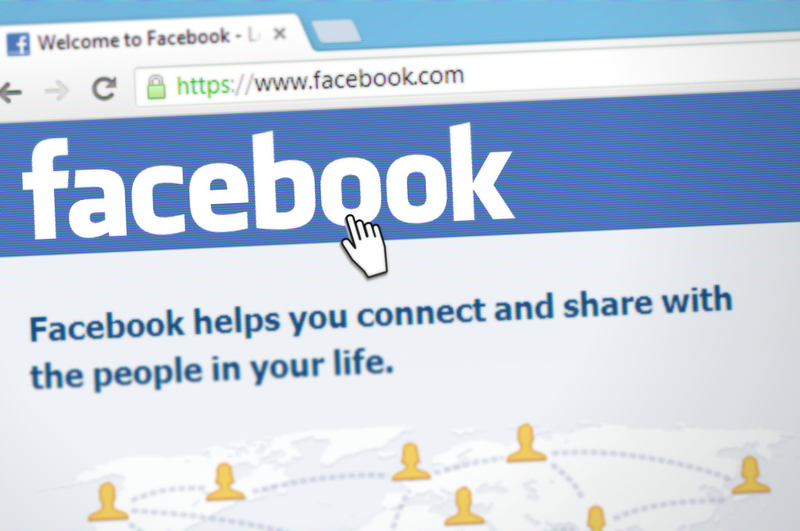 According to an announcement from the site,“ Over 1.6 billion people around the world are connected to a small business on Facebook.” It seems both users and businesses want an easier way to connect, so Facebook has upgraded some of their features to accomplish this. The mobile look for pages is now going to put a spotlight on recommendations. Remember at the end of 2017 when they launched Facebook Local? A lot of event stuff was moved out of the original Facebook app and into the Facebook Local app. 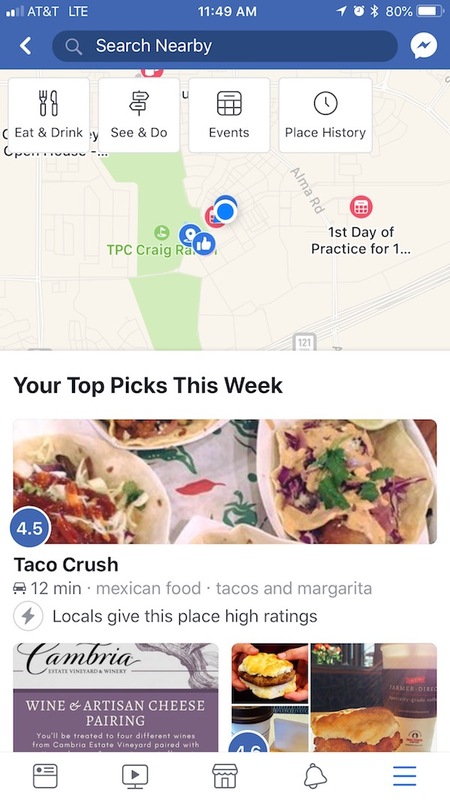 Well, they’ve slowly been shifting it back in, which I’m guessing is to prepare for the new “Local” section that is available through the main Facebook app. The Local section is not super easy to find, depending on how many other items you access regularly via the Facebook mobile app. I have to click “See More” to get to it. I’m betting that Facebook will change this soon enough. Users can make reservations, book appointments, see the most recent offers and more. They have added “Stories on Pages” so users can more easily get to know the people behind the business. Facebook has over 10 percent market share as a browser in some states. Time spent on social media is 135 minutes per day, up from 90 minutes in 2012. Facebook has more than 80 million SMBs on its platform. A few weeks ago, I shared some of the new features coming to the Google My Business dashboard. Well, just yesterday, they announced that all countries have the menu and services feature available in the GMB Community forum. It’s available to restaurants and service-based businesses. 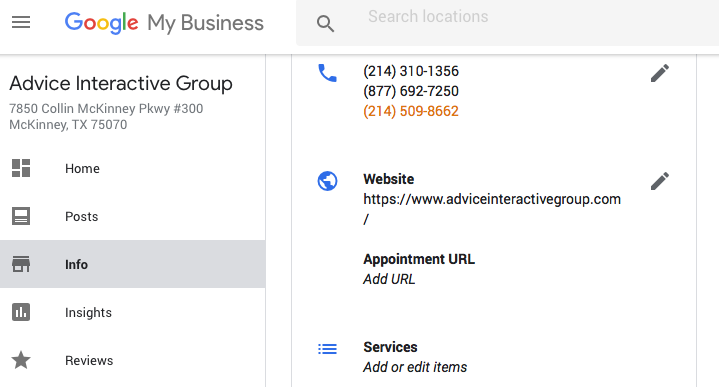 Go to the Google My Business dashboard. Select “Info” on the left. Scroll down a tiny bit. You should see “Services” listed underneath the website information. Within Services, you can add sections with multiple items underneath, a description for each item, and pricing. Be sure to keep keyword optimization (not keyword stuffing) in mind when completing these. Two weeks ago, I shared a few insights on the updates Google just made to their Search Quality Evaluator Guidelines. This week, I read an article on TheSEMPost that highlighted some additional important insights to consider. When rating content, raters are directed to look beyond just the expertise, authoritativeness and trustworthiness (E-A-T) of the content, but also at reputation of the content. This directs them to find additional information about the author to make sure they are also credible. Websites publishing content in their team members’ names that are not authoritative need to reconsider. As you know, quantity is not the goal – quality is. Taking this even further is E-A-T, and a step beyond that is reputation. Google definitely has some competition on the rise in the marketplace, at least when it comes to maps on local business websites. HERE announced they are adding a Freemium solution for the location technology. It’s speculated that this may be in response to Google changing the pricing for developers using their mapping technology on local businesses’ websites. 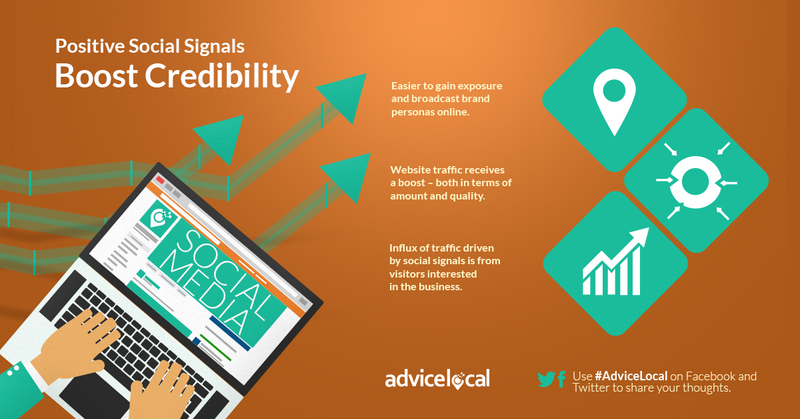 Consumers are accustomed to seeing the Google Map embed on location landing pages. I think this expectation will soon change. In case you didn’t know it, HERE is one of the GPS mapping solutions available through the Advice Local Data Amplifier Network. This news is good news for us and our local business customers. I know all of this is a lot to take in. Don’t worry! The Advice Local team has you covered. Request a demo to learn how we can better help you serve your customers. Our partners are our priority. Partners accessing the Rollup Report can now sort all the column headers by ascending or descending. Now, you can quickly see changes like which location has experienced the highest “Percentage Growth” or the lowest. This change applies to all the column headers. To access the sort function, you just click the header and the “up” or “down” arrow will appear. No more scrolling through a long list of data sources to confirm that a local business is listed with a specific data aggregator! Partners can scroll through the report to see specific segments like Data Aggregators, Directories, GPS Mapping Accelerators and more. If a site has pages that cannot be indexed, the Index Coverage report notifies the business. This new update does it more accurately! AR is a reality, but it’s still missing an important factor: an AR Cloud. Are Apple and Google on the verge of its creation? Google’s new payment schedule spurs Here (a German company) to challenge Google on embedded maps on websites. A real alternative for small biz? To avoid partners who indulge in shady practices with data, advertisers dive into the private market. You decide if higher quality is worth the extra spend. Barry Schwartz reveals insights into what he coined the “Google Medic Update” which appeared August 1. Paging all medical professionals! 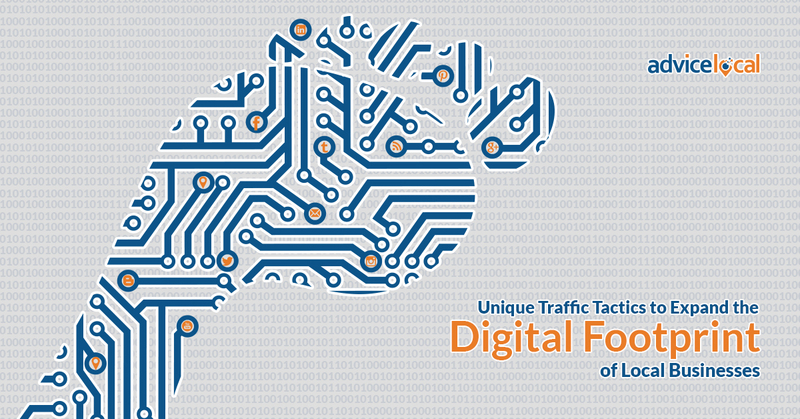 How can a local biz boost traffic to its site? 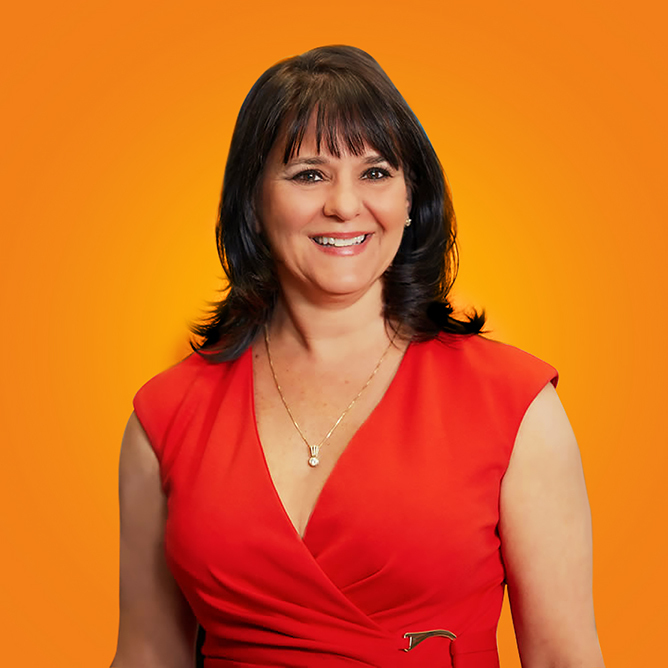 Providing testimonials is a great tactic! Get more alternative strategies right here. 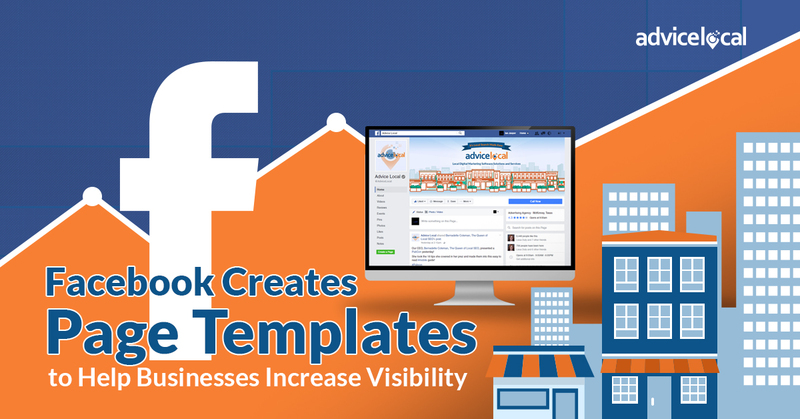 When it comes to managing local presence, Facebook is a powerful tool for businesses. Get 6 facts to help make it work for you. Will SERPs Replace the Local Business Website?